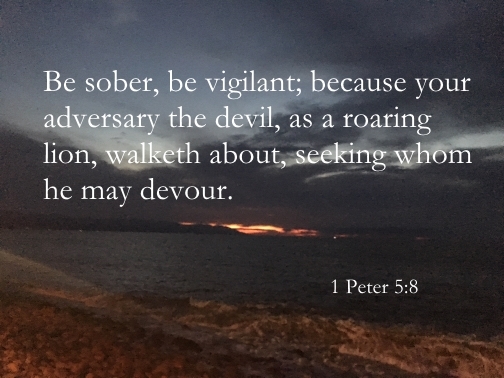 Be sober, be vigilant; because your adversary the devil, as a roaring lion, walketh about, seeking whom he may devour (1 Peter 5:8 ). The sower sows the word. And these are the ones along the path, where the word is sown: when they hear, Satan immediately comes and takes away the word that is sown in them (Mark 4:14-15 ESV). Put on the whole armour of God, that ye may be able to stand against the wiles of the devil. For we wrestle not against flesh and blood, but against principalities, against powers, against the rulers of the darkness of this world, against spiritual wickedness in high places (Ephesians 6:11-12). We will now look to the Word of God, to see some of the weapons of spiritual warfare that are available to help us fight against any form of evil. The Kings of Judah and Israel fought many battles against their enemies. Here are two such battles which illustrate the power of spiritual warfare to win the constant war we are in with the devil and his demonic spirits. God gave Jehoshaphat victory without lifting a physical weapon against the enemy. Sennacherib, King of Assyria came up against Jerusalem (2 Kings 19:1-31) and these are the weapons that King Hezekiah used to fight this battle. God then destroyed Sennacherib and his army without Hezekiah partaking in any physical battle (2 Kings 19:35-37). The eleven weapons of spiritual warfare used by Jehoshaphat and Hezekiah are on full display throughout the Bible. And when he had removed him, he raised up unto them David to be their king; to whom also he gave testimony, and said, I have found David the son of Jesse, a man after mine own heart, which shall fulfil all my will (Acts 13:22). Repent, be baptized every one of you in the name of Jesus Christ for the remission of sins and ye shall receive the gift of the Holy Ghost (Acts 2:38). So now there is no condemnation for those who belong to Christ Jesus. And because you belong to him, the power of the life-giving Spirit has freed you from the power of sin that leads to death (Romans 8:1-2 NLT). 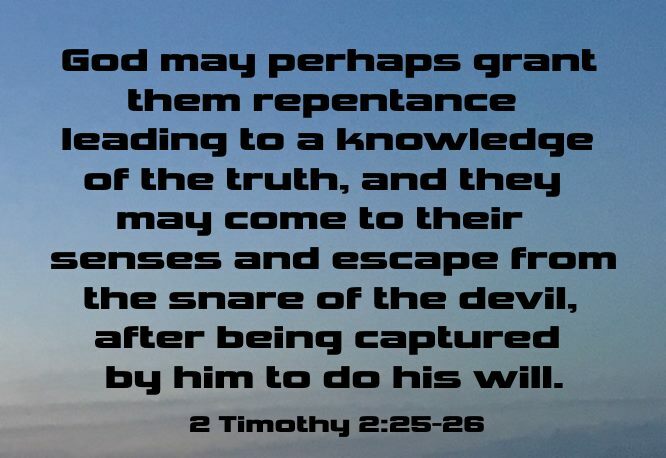 God may perhaps grant them repentance leading to a knowledge of the truth, and they may come to their senses and escape from the snare of the devil, after being captured by him to do his will (2 Timothy 2:25-26). 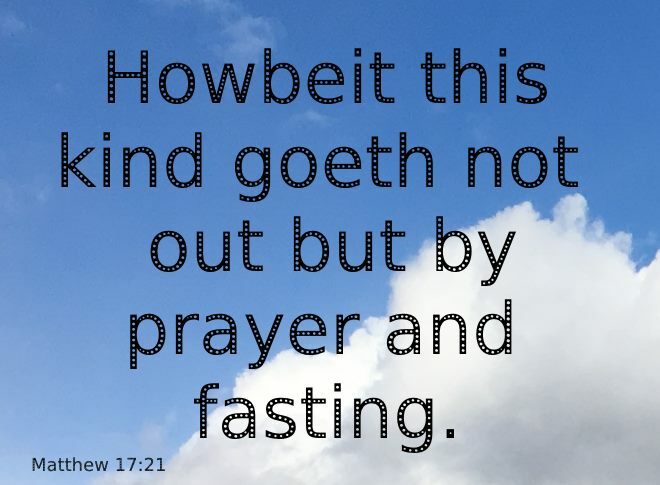 At times, in a Christian's life, prayer will not be enough, fasting must be added for the miracle to happen. Daniel, in the Old Testament, understood this concept well. He fasted and prayed for three weeks and understood that his vision was about events that would happen in the future (Daniel 10:1-3 NLT). Then Daniel heard a voice telling him that God heard his prayer because he humbled himself before God through fasting (Daniel 10:12 NLT). This example doesn't necessarily mean one needs to fast for three weeks. King David fasted the day of Abner's funeral to sundown (2 Samuel 3:35 NLT). On the other hand, Moses (Exodus 34:28), Elijah (1 Kings 19:8) and Jesus (Luke 4:2) fasted for forty days. The length of the fast will depend on how long it takes to get God to answer your prayer. I am definitely not suggesting that you fast like either Moses, Elijah or Jesus. Your forty days may be over a period of forty weeks. You will see that when you fast you will draw close to God and He will draw even closer to you. The day of Pentecost, in Acts 2: 14-41 the writer of the Book of Acts, the Apostle Luke, describes how 3,000 were saved when they heard the Apostle Peter preach the Gospel of Jesus Christ for the first time ever. They were all baptized in Jesus' name and filled with the Holy Ghost with the evidence of speaking in tongues. Any time God fills a person with the Holy Spirit, the devil suffers a tremendous defeat in spiritual warfare. In 2002, approximately 400,000 people went to the house of the Lord in Ethiopia and heard the gospel preached. That day God filled 114,000 lost souls with the Holy Ghost with the evidence of speaking in tongues. Watch the video below of this miraculous day in the house of the Lord. In Acts 3:1-10, we see the lame man at the gate Beautiful (the gate to the tabernacle) was healed when the Apostle Peter told him to rise up and walk, in the name of Jesus Christ. 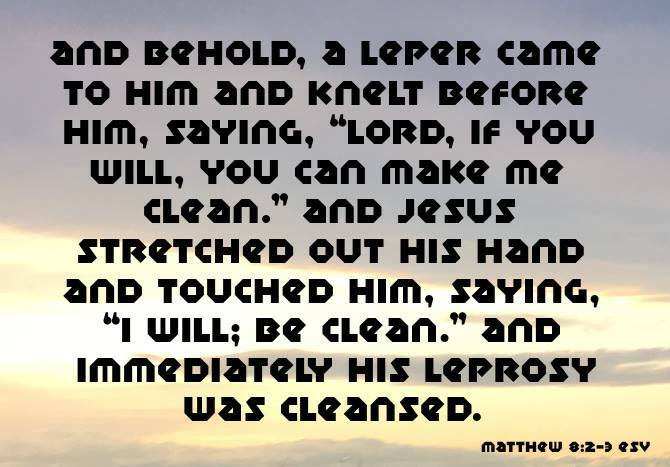 He had been laid there daily his entire life, but that was before the miraculous healing power of the Holy Ghost had been given to believers as Jesus described would happen in Mark 16:15-20. The Apostle Paul was preaching in the upper chamber, after dinner, where a young man named Eutychus fell of balcony and died. Paul embraced Eutychus and he lived (Acts 20:8-12). These are all examples of spiritual warfare working in the house of the Lord. One hundred and twenty gathered in the Upper Room in one accord seeking the Lord in prayer and supplication ( Acts 1:12-14), awaiting the promise of the Holy Ghost (Acts 1:8). At the end of that unified public prayer God poured out His Spirit (Acts 2:1-4). Having the power of the Holy Ghost is the ultimate weapon in spiritual warfare. Sought the Man of God for Advice. The Israelites sought Moses, their man of God, to resolve disputes between themselves because Moses knew the statutes and laws of God (Exodus 18:13-16). The man of God in our lives must have knowledge, understanding and wisdom regarding the Word of God to give us Godly direction. The Corinthians wrote the Apostle Paul, asking him questions and seeking advice (1 Corinthians 7:1,25, 8:1, 12:1, 16:1,2). As their man of God, he responded to their queries in the Book of 1 Corinthians. The church had many problems of a sinful nature and Paul's response was the spiritual warfare needed to remove sin from that church. Similarly today we should seek our pastor's advice anytime we need help from God to keep us on the straight and narrow path that will help us live a fully repentant lifestyle. Worshiping God makes the devil flee! Legion was filled with some 2,000 devils. When he saw Jesus he ran to Him worshiping Him. The devils immediately begged Him to not be sent away but to enter a heard of swine. Jesus consented, and all of the swine ran down a steep hill into a lake and drowned (Mark 5:2-15). At the scene of the Great Commission (Matthew 16:22-28), some of the disciples doubted that Jesus was God, yet all of them worshiped Him and all were in the Upper Room when the Holy Ghost was poured out the day of Pentecost. All of us may have doubts and troubles at times, but that is the exact time that we should worship Jesus. Worship is a crucial armament in spiritual warfare. But thou art holy, O thou that inhabitest the praises of Israel (Psalm 22:3). The scripture says "praises of Israel" but the Apostle Paul explains how believers have been grafted onto the same tree as the Israelites in Romans 11:1-36. I will bless the Lord at all times: his praise shall continually be in my mouth (Psalm 34:1). And suddenly there was a great earthquake, so that the foundations of the prison were shaken: and immediately all the doors were opened, and every one's bands were loosed (Acts 16:25-26). Praise ye the Lord. 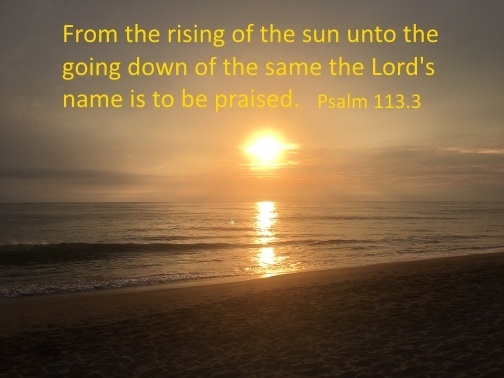 Praise God in his sanctuary: praise him in the firmament of his power. Praise him for his mighty acts: praise him according to his excellent greatness (Psalm 150:1-2). Praising God is so simple to do with such profound benefits as a weapon of spiritual warfare. 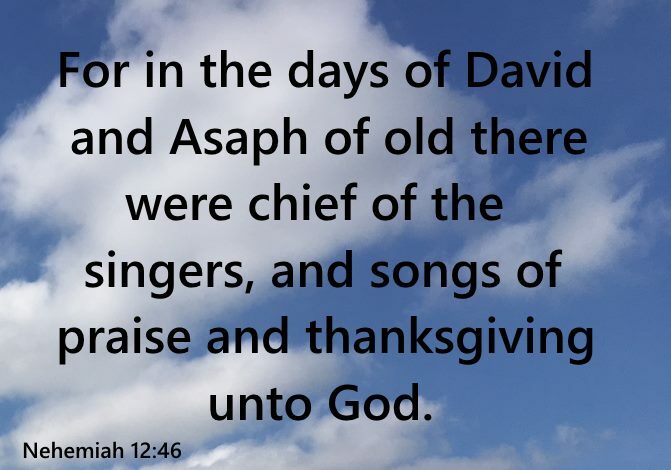 For in the days of David and Asaph of old there were chief of the singers, and songs of praise and thanksgiving unto God (Nehemiah 12:46 ). As believers, God will build spiritual walls around us to not only keep evil from entering into our lives, but also to keep us inside the walls to protect us from ourselves. 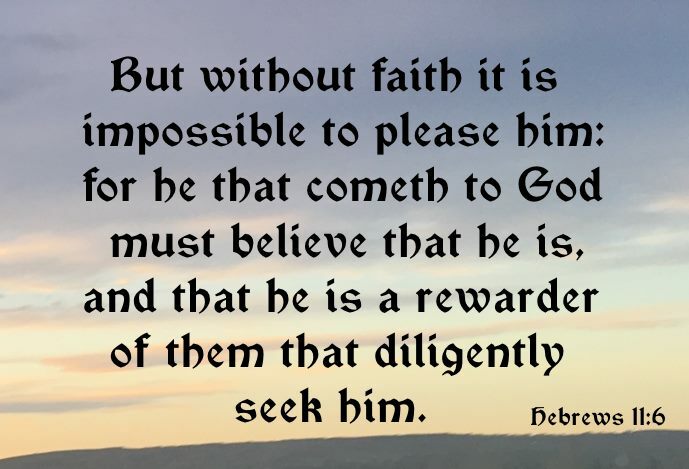 Praise the Lord that we can sing songs of praise for the protection that Jehovah Jireh, Jesus Christ, provides for us. And Miriam the prophetess, the sister of Aaron, took a timbrel in her hand; and all the women went out after her with timbrels and with dances. And Miriam answered them, Sing ye to the Lord, for he hath triumphed gloriously; the horse and his rider hath he thrown into the sea (Exodus 15:20-21). received gifts among men, Even among the rebellious also, that the Lord God may dwell there. Blessed be the Lord, who daily bears our burden, The God who is our salvation. Selah. God is to us a God of deliverances And to God the Lord belong escapes from death (Psalm 68:18-20 NASB). He knew that Jesus would bear all are burdens and deliver us from our enemies. Oh for the wisdom to bless the Lord Jesus at all times.